Η German Special Customs μας δείχνει το βελτιωτικό πακέτο που έχει ετοιμάσει για το BMW i8. Το όνομα του iTRON και στιλιστικά τοποθετεί στο i8 νέο bodykit αποτελούμενο από νέο μπροστά προφυλακτήρα με μεγάλες εισαγωγές αέρα και spoiler, πλαινά skirts, αεροτομή και νέο πίσω προφυλακτήρα. Οι αλλαγές ολοκληρώνονται με τα LED φώτα ημέρας και τις ζάντες 20″. With the plug-in-hybrid racer i8, BMW has doubtlessly revolutionised the classic sports car. 1.5 litres of displacement spread across three cylinders and 231 PS / 320 Nm, in combination with a 131 PS / 250 Nm electric motor are enough for this very dynamic all-wheel drive car to offer a driving output worthy of a “real” sports car. The electric racer sprints from zero to 100 km/h in only 4.4 seconds and reaches a maximum speed of 250 km/h. 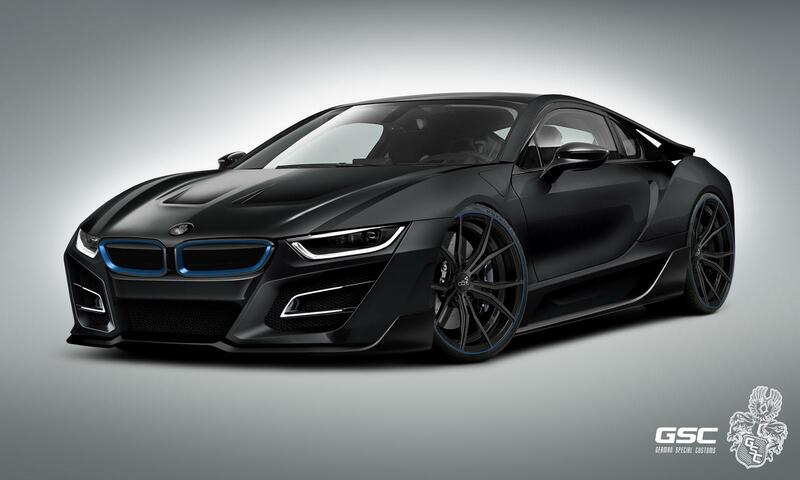 The sensation is that in spite of this power, the BMW can offer a combined consumption of only 2.1 litres of gasoline per 100 kilometres for the i8! Powered purely electrically, the plug-in hybrid, fuelling up mostly from the socket, can drive up to 37 kilometres and reach speeds of up to 65 km/h. 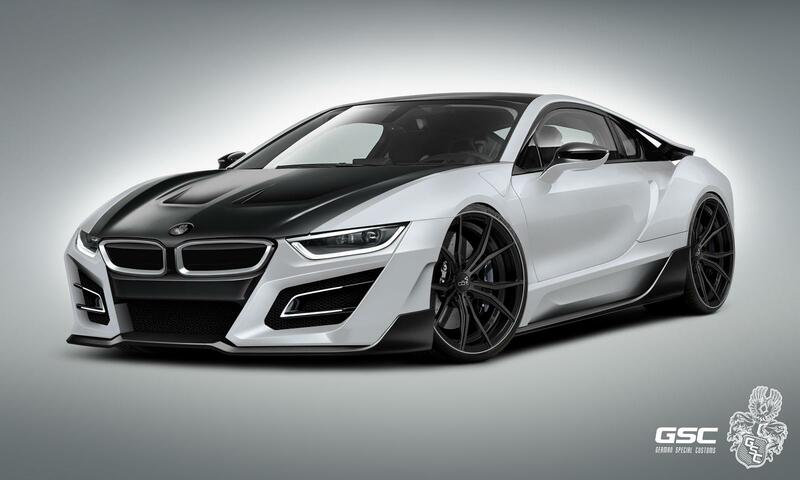 Nearly in time for the market introduction of the BMW i8 serial model just a few months ago, the styling specialists from German Special Customs, Chemnitz, now present the first design drafts that offer an outlook on the in-house i8 interpretation with the project name “iTRON”. As compared to the downright delicate serial version, the i8 is modified by German Special Customs – in short: GSC -– is much more aggressive and powerful. A distinctively shaped front spoiler bumper, with large cooling air inlets, integrated LED daylight headlights and a spoiler sword characterised by its winglets, gives the “iTRON” an extra portion of overtaking prestige, as also supported by the air outlets integrated into the new motor cowl. The winglets of the front spoiler sword with their raised sides reflect the side sills again so that the Bavarian now looks much more solid. 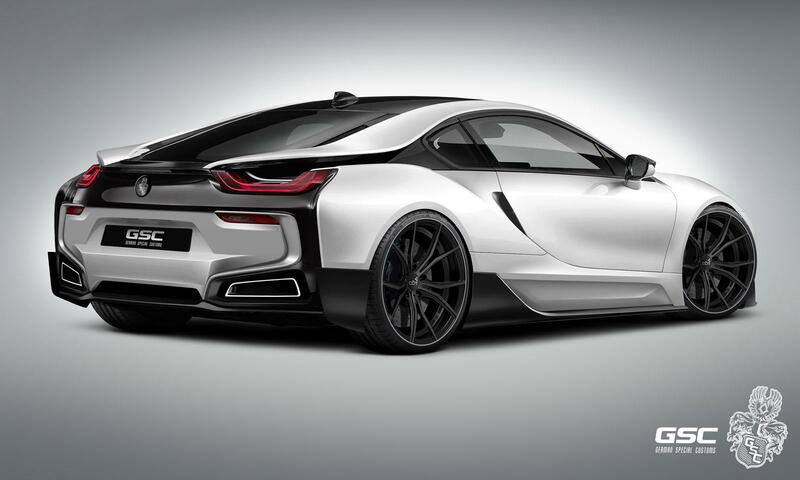 At the rear, German Special Customs give the i8 what it is missing entirely in the serial condition: exhaust end tubes! 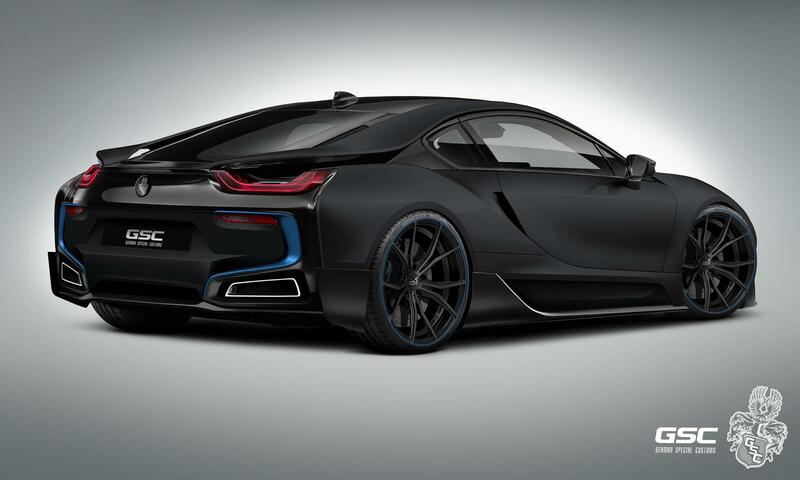 End-tube blinds aligned with the shapes of the i8 are integrated in the GSC design’s new rear apron, which also once again repeats the winglets of the side sills and visually leads on until behind the rear wheels. 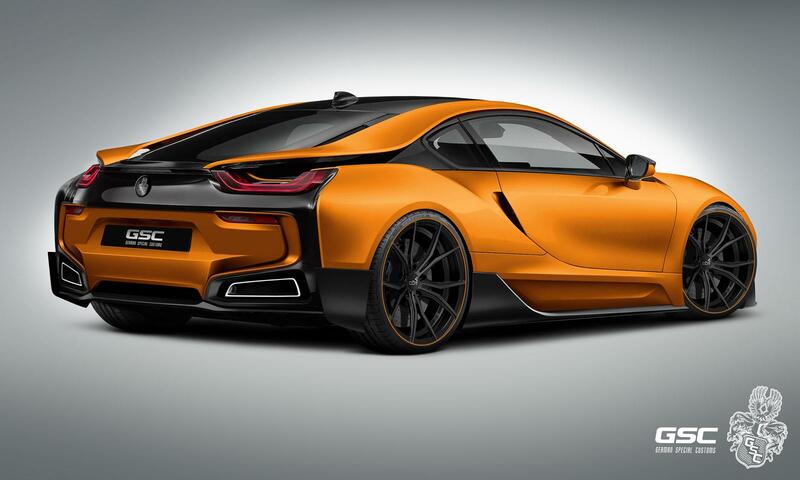 Instead of the very narrow i8 serial wheels (VA 7×20 inch with 195/50R20 and HA 7.5×20 inch with 215/45R20), German Special Customs chose a wheel/tyre combination for the iTRON that is much wider and has a larger diameter.